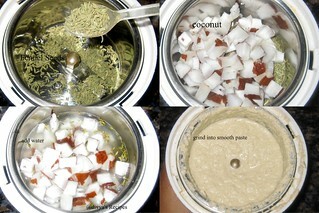 Grind coconut and fennel seeds to a smooth paste by adding some water.Keep it aside. heat oil in a pressure cooker.Add onions and fry till golden color. 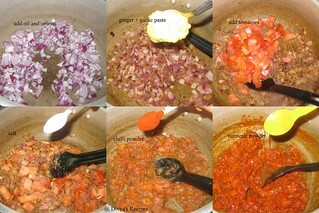 Once the onion is nice brown color,add ginger -garlic paste and saute for a 2 mins. 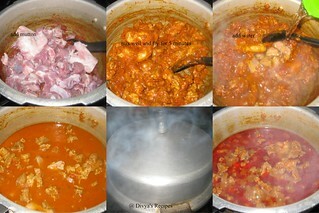 Add in tomatoes ,cook this till tomatoes cook down and turn mushy. 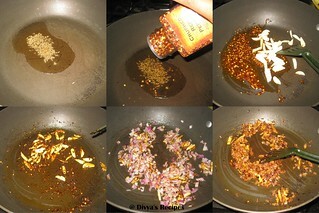 Add in chilli powder,turmeric powder and salt . 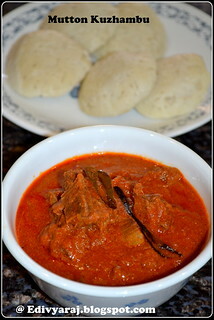 Mix well with the masala.Now add in mutton pieces and toss well with the masala. 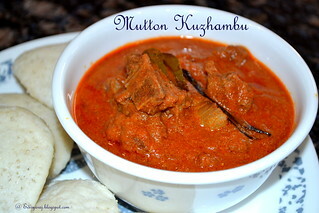 Keep tossing till the masala coats the mutton pieces and the mutton gets little dark brown. Now add in 1 glass of water .Cover and pressure cook for 4 whistle,simmer the pan for 15 mins.Turn off the heat and let the steam go all by int-self. 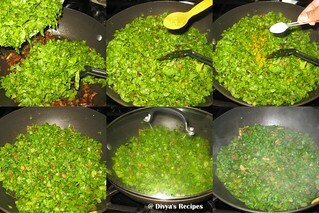 Meanwhile heat small pan add 1 tsp of oil ,when its hot add cumin seeds,fennel seeds ,cloves,cardamom,cinnamon stick fry till its change the color,now add tred chillis,onion pieces,garlic and curry leaves fry for 5 minutes. 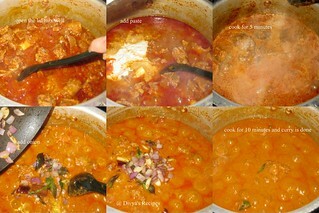 Now open the lid switch on the stove add the coconut paste in it and simmer for another 10 minutes. 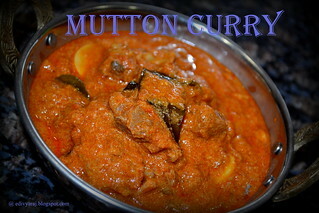 Then add this frying mixture into mutton curry ,mix well cook for another 5 minutes and turn off the heat. Hi Friends Wish U All Very Happy New Year !!! 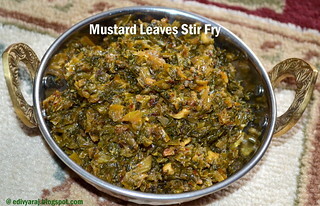 Today recipe is Mustard leaves stir fry, This dish is very simple and healthy dish. 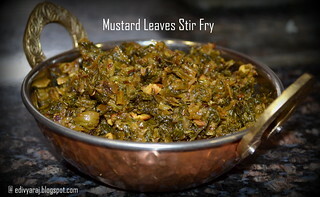 Take mustard leaves finally chop and fill water in a big bowl ,let them sit for five minutes.Remove the chopped leaves and change the water and do the same couple of times and drain them in the colander. 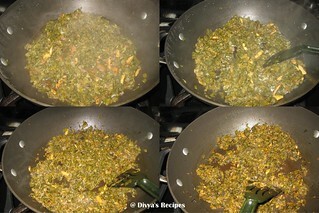 Heat oil in a pan,add cumin seeds,mustard seeds when pops up,add red chillies or chilli flakes fry for a minute.Then add garlic pieces fry fry for 2 minutes. 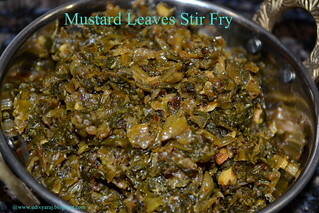 Add the chopped mustard leaves and salt , turmeric powder mix well.Cover and cook for 5 minutes until the leaves wilt. In between open the lid mix well ,and simmer for another 10 minutes or so until the leaves are cooked. 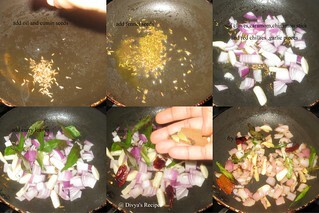 Increase heat and stir fry until no moisture is left and turn off the stove after a couple of minutes. 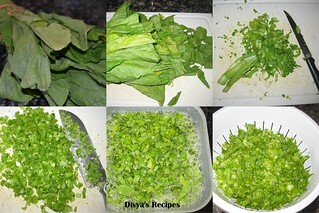 Enjoy Steamed rice with mustard leaves stir fry.